Bajie is shaken to be reunited with the girl whom he once knew who is now The Widow. He is put in captivity near Tilda, who wakes badly injured in the next cell following her fight with The Widow. M.K. is still held captive by The Widow. Odessa breaks Tilda free and at her insistence, frees Bajie too. Waldo also helps them to make their escape but they're not able to get M.K. out too. Bajie finds Sunny, who is going after Quinn, and insists on helping him in his pursuits even if it means dying. Sunny begins his attack on Quinn's tunnel system and fights off hoards of men with Bajie. Bajie is injured while fighting one of Quinn's lieutenants but Sunny is finally able to reunite with Veil. Lydia was about to be executed but her life is saved due to the timing of Sunny's attack. Sunny and Veil encounter Quinn and Sunny demands the return of his son. Quinn triggers an explosion that knocks a giant hole in the train station and Sunny begins to fight him. After sometime, Sunny wins the fight and moves to get out of the tunnel, as it's ready to collapse at any moment. A badly injured Quinn manages to grab Veil and tries to hold her hostage as Sunny demands she be released. Veil refuses to be held captive by Quinn any longer, tells Sunny to take care of their son, and uses Quinn's sword to stab herself but also Quinn in the process. In her dying moments, she tells Sunny to teach Henry to be good and he promises to do so. Sunny leaves the station with Henry. Bajie is shown to be elsewhere, alive. He reaches a run-down communications tower and reactivates it before collapsing from his earlier wound. 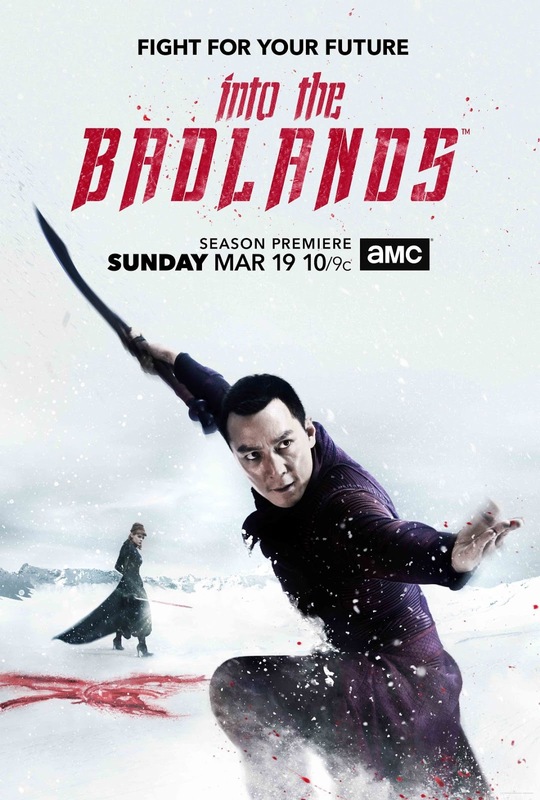 Into the Badlands will return for season 3 on AMC.